The Mercedes Benz is not your run of the mill car and they never wanted to be, they are about luxury, quality and standing out from the crowd. We have gathered several Mercedes Benz brochures and sales catalogs that displays why they are different from most automobiles. Mercedes Benz has quite an interesting history, but most of all they are responsible for building the first automobile. 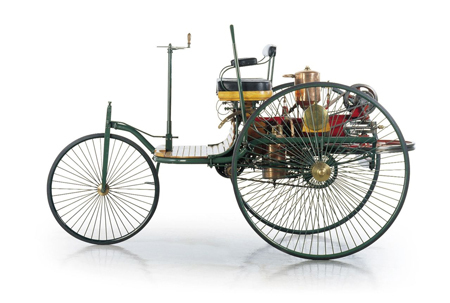 Karl Benz introduced the world to the Benz Patent Motor Car in the beginning of 1886, which was a three-wheeled vehicle. Only a few moths later Gottlieb Daimler and Wilhelm Maybach (head Daimler engineer) introduced their four-wheeled automobile powered by a Daimler engine. Then in 1901 Maybach built the first Mercedes for a distributor of Daimler and it was named after his daughter Mercedes. So the name of one of the finest automobiles in the world is named after Mercedes Jellinek. We aren’t fortunate enough to have the Mercedes Benz brochures and sales literature of the first cars, but we do have a nice collection. This German automaker, Mercedes Benz Company was born in 1926 when the companies of Gottlieb Daimler and Karl Benz merged to form Daimler Benz AG. Mercedes Benz is a division of parent Daimler Benz AG that focused on the automobile and their motto was “The Best or Nothing”. Daimler and Mercedes even had an Ultra-Luxury edition, which was Maybach. Take a look at the Mercedes Benz brochures and sales info below and you see the best or nothing show through. Mercedes Benz was always on the cutting edge when it came to technology and innovation. They set bar that few automakers could match when it came to the quality and luxury of the Mercedes Benz. In 1931 Mercedes Benz introduced the 170 which featured independent suspension which was unheard of that the time. Mercedes Benz created a reputation for the company that was all about the quality and the luxury that was far ahead of the competitors. They introduced the Mercedes Benz models 380 and 540K that featured the ultimate in luxury and quality with state of the art technology that were very successful. The same thing you see in the Mercedes Benz brochures and literature today. Mercedes Benz introduced the world to what some people called a “Supercar” in 1951 when they released the Mercedes Benz 300 SL “Gullwing” sports car. The 300 SL was like nothing anyone has seen before and collectors are still willing to pay very big money today for one these highly desired Mercedes Benz creations. Not any of the Mercedes Benz brochures of that particular model, but plenty of sales brochures of many other incredible Mercedes Benz cars. 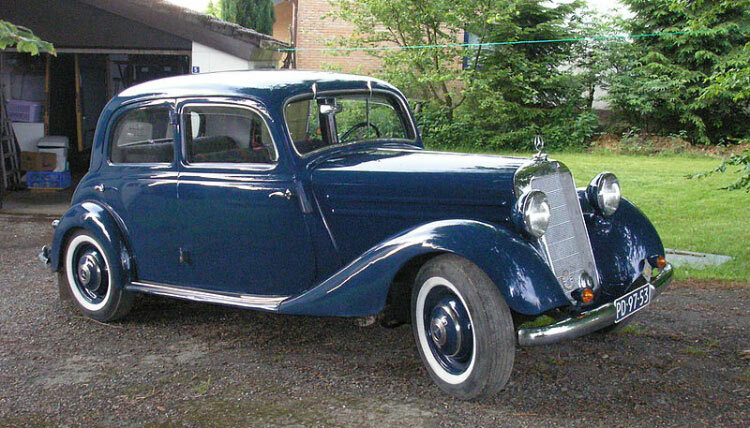 They even launched the Mercedes Benz 220 sedan, which was the first automobile to use crumple zones to protect the vehicle occupants from injury. Mercedes Benz did it again in 1963 when they introduced the world to the Mercedes Benz 600, which was the ultimate luxury vehicle. This amazing automobile was available as both a sedan and a limousine that featured a 300-horsepower V8 engine and air ride suspension. Luxury wasn’t enough for Mercedes Benz and they introduced the Mercedes Benz 300 SEL 6.3, which was not only was luxurious, but it was fast. The MB 300 SEL 6.3 could do 60 MPH in less than 60 seconds. When the 1970s hit Mercedes Benz was on the cutting edge with both technology and luxury. They offered more luxury and features than you could imagine at the time they were they were the first to offer anti-lock brakes. See the Mercedes Benz brochures here for the features that are beyond comparison. Mercedes Benz continues to tops the charts in not only quality and luxury, but also safety features that have set the mark for a quality automobile. Mercedes was the first to offer airbags and traction control. Safety features that were standard on Mercedes Benz haven’t become stand on other vehicles until 25 years later. From the Mercedes Benz 190 E rear link suspension to their partnership with AMG Mercedes Benz continues to build an automobile that can’t be rivaled. See the Mercedes Benz brochures and sales pamphlets below and you will see the difference “The Best or Nothing” makes when it comes to automobiles.